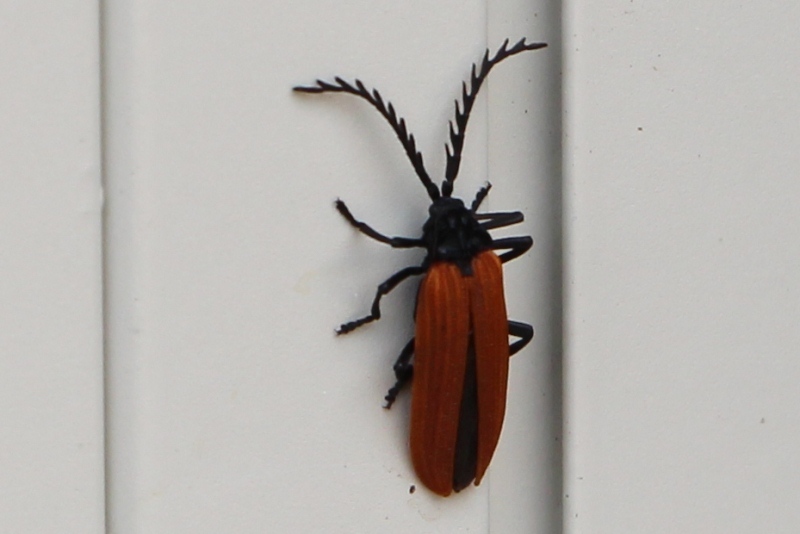 This beauty is a Lycid Beetle. The metallic wing covers have prominent ridges and the antennae are serrated and quite thick. They live amongst foliage and flowers eating nectar and pollen. Their bright colour is a warning to predators that they are not pleasant to eat.